One of our unique projects; this home was once a church! 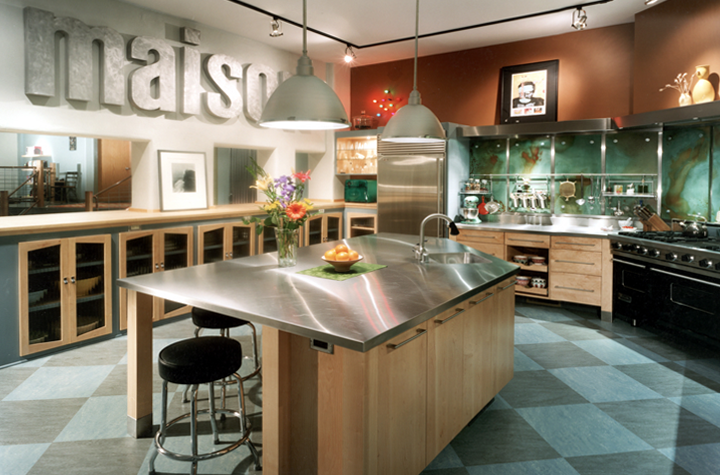 The homeowners wanted an industrial-style kitchen with a bit of whimsy to warm it up. 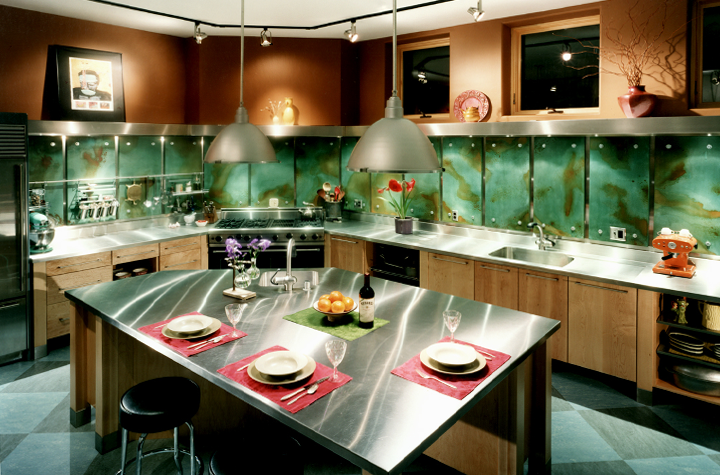 The counters and island tabletop are stainless steel with custom maple panel cabinets beneath. The walls are fashioned from concrete panels with a green acid wash. Direct and indirect lighting abound — from overhead lamps, to subtle lighting below and above the shelving, to the ground level windows welcoming in natural light during the day.